Is it possible the NBA Finals have gotten something similar to rabies? Maybe it's the jaded, bitter 31 year-old man in me. Maybe it's the fact I started getting up at 4 am this week for Morning Jab duty, which has forced me to watch as much of the NBA Finals as humanly possible (I got 3 hours and 45 minutes of sleep last night. Vampires think that's ridiculous). Maybe I'm just angry thinking about all of the Sports Illustrated "Back-to-Back" Lakers Championship merchandise I am going to see on TV this summer (there is nothing worse than seeing Kobe Bryant happy). Whatever it is, I need this to stop. This whole NBA Finals shenanigan has lasted long enough. yes, I know the ratings are high (ESPN reported a 14.7 overnight last night). I'm sure there are alot of people who enjoy sports betting online that are raking in the dough on this series. I know it's the marquee match-up in the NBA. I know all of these things, but I am fed up. I am tired, and I am worn out. This league lost its luster somewhere along the way. I don't just want to be bash officiating anymore. It's awful, we all know it, we all see it (check out the 3 instant relays from last night. The officials missed fouls on all three calls). It's the level of play. It's the off-the ball-ticky-tack fouls that put players like Kobe, Ray Allen, Ron Artest, and Kevin Garnett on the bench. I don't want to see Shelden Williams battle Luke Walton in the NBA Finals. Maybe I'm spoiled, maybe I'm complaining, but I don't understand how anyone thinks this series is watchable. I would rather watch a Stanley Cup Finals blow-out over a close NBA Playoff game. The fact they make me stay up until midnight to watch it is the moldy cherry and the expired ice cream sundae. I miss the Showtime Lakers. I miss Run-TMC. 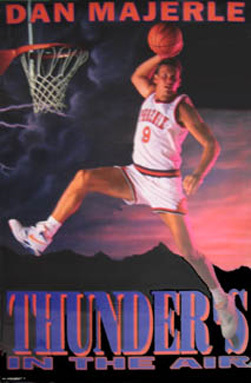 I miss the 1993 Suns and Thunder Dan Majerle. Hell, I miss people making open jump-shots and free throws. I'm worn out. Every time I expect the league to turn the corner, it veers left into a dirty alley and runs into a used needle. So tonight, while I'm watching the Flyers take on the Blackhawks, I will be praying for a Flyers win, if only to extend the NHL season one more game. It might be the only thing that gets me through another NBA Finals crap-fest on Thursday night.